In/out molds are treated with nitrogen and grinded treatment. These processes achieve high-precision parallelism of working benches. High-precision structural steel design, easy but speedy, convenient to fit various of molds. Adjusting, repairing, or maintaining are very easy and accurate. 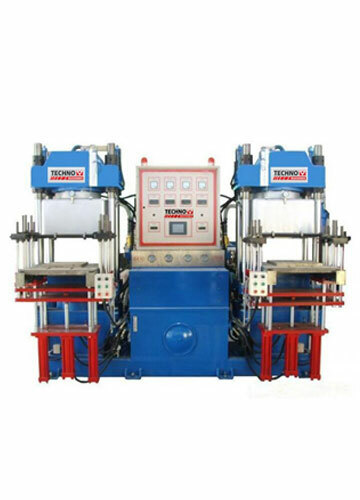 Slow speed of alignment adjusting is provided to make the molds calibration more safe and more accurate to suit various of molding conditions. Rail mold-open: Medical applications, livelihood applications, automobile parts, industrial parts and so on. 2RT mold-open: O-rings, special black rubber products, conductive products, keyboards, pads, mad and so on. 3RT mold-open: Suitable for 3 to 4 layers mold. 4RT mold-open: Suitable for 4 to 5 layers mold.